Amino AcidsFitMax BCAA + EAA - 240 tabl. 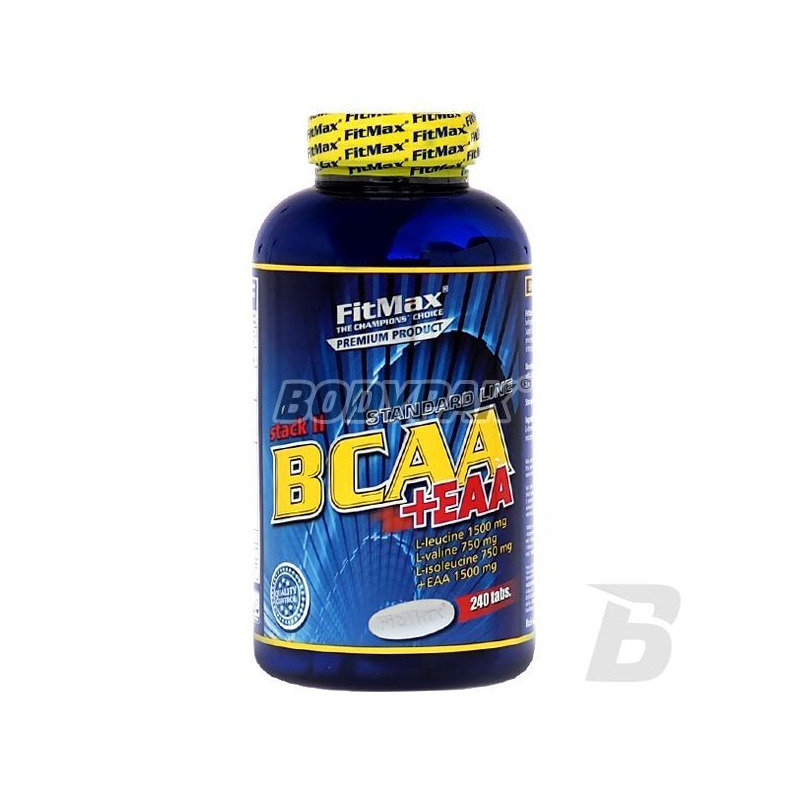 High-quality combination of essential amino acids and branched chain amino acids. Depending on the chosen proportions, and a high content of Leucine achieved high efficiency. 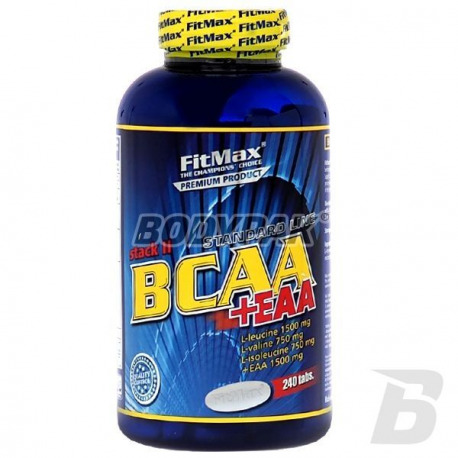 FitMax BCAA Stack II + EAA - with a combination of essential amino acids and branched chain amino acids. Depending on the chosen proportions, and a high content of Leucine achieved high efficiency. L-Leucine - the synthesis of skeletal muscle in several ways: it increases the secretion of insulin, a powerful anabolic present in our body, affects the activity of protein kinase S6 accelerates the phosphorylation of eIF4E-binding protein and affects the degree of association between proteins (EIF) and the 4E eIF4G. All this, despite the complex sounds and naming comes down to a very simple theorem - leucine increases the degree and speed, use protein to build muscle. L-Methionine - belongs to the group of sulfur amino acids. It is essential for protein synthesis (is attached as the first during the construction of the polypeptide chain), increases the production of glutathione (compound helps to remove toxins from the body), participates in the formation of adrenaline, nucleic acids and creatine phosphate. Warty swojej cenie produkt, nie ma tylu barwników i aromatów jak proch.